Brigid looks at domestic abuse and a case in the public eye. Last week saw the trial of TV personality (Beauty School Drop-Out & Celebrity Big Brother star) Jeremy McConnell, aged 27, in Liverpool Magistrates Court. It was alleged that Jeremy assaulted his partner at the time, Stephanie Davis (Hollyoaks actress & Celebrity Big Brother Star) aged 24, at her home in March 2017. Stephanie had bite marks and bruises after the assault. Stephanie told the Court during the trial that Jeremy had pulled her round the room like a rag doll and that she thought he was going to kill her. Jeremy had previously pleaded guilty to causing damage to her property but he had pleaded “not guilty” to the alleged assault. After a one day long trial Jeremy was found guilty of the assault and sentencing took place a few days later. Jeremy received a 20 week custodial sentence suspended for 12 months, he was also ordered to pay costs and damages. Stephanie was afforded the protection of a Restraining Order to prevent Jeremy from contacting her unless via solicitors to arrange contact with his son or as a result of an Order from the Family Court. What I believe this case shows is that anyone from any background, profession or social standing can be the perpetrator of abuse and also the victim. It was widely reported in the media that Jeremy and Stephanie had a “volatile” and “turbulent” relationship but abuse should not be glamourised or overlooked because the people involved are famous. I believe Stephanie is very brave for reporting the assault to the police and attending Court to give evidence. Sadly, many victims withdraw their allegations well before a case gets to trial and this is likely due to them being in fear of their abuser. 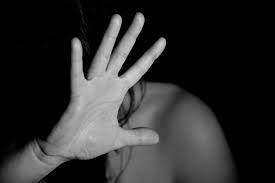 According to the Independent, more than 160,000 victims of domestic abuse in 2016 in England withdrew their support for charges against their abusers which is a frightening number of victims. Stephanie’s abuser is in the public eye and her relationship has very much been made a public affair so I have no doubt that it took an awful lot of courage for her to give evidence at her ex-partner’s trial. Abuse is never acceptable, no matter who you, your partner or family member is. Jeremy receive a custodial sentence, albeit suspended for 12 months, but the sentence shows how seriously the Courts take offences like these. Some say the sentence is too lenient and I may agree, but I am also pleased for Stephanie as a victim that Jeremy has been convicted and has received a custodial sentence, albeit suspended for 12 months. What is sad about this case is that Jeremy appears to have no regard for the impact of his actions on his partner, his son or the people around him. The Judge commented when sentencing him that Jeremy had shown no remorse and I think this has been shown to be true when he was grinning at the airport when he landed back in Ireland. Nevertheless, he now has a criminal conviction and a Restraining Order to protect his victim. Hopefully attending the “Building Better Relationships Course” as part of his sentencing will provide Jeremy with some insight as to the impact domestic abuse has upon victims and children. What does this mean for the future of Domestic Abuse cases? Although it is a very sad case, I hope that Stephanie’s courage will encourage other victims to step forward and report abusers to the relevant authorities. No one should suffer in silence. 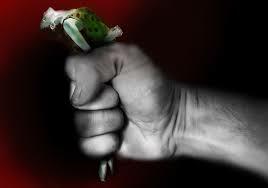 At WTB Solicitors we specialise in family matters and those involving domestic abuse. If you are worried about your safety or the safety of someone you know, please contact us for confidential advice about how to keep yourself safe. In an emergency, call 999.